The Open Door Classroom: Acting Out Adverbs! 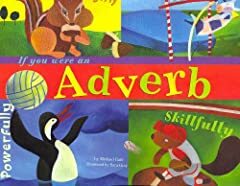 Not only did this book explain adverbs in terms that my kiddos could understand, but it also had some fun follow-up activities at the end. After reading the book, my kids shared some of the adverbs that they heard in the book and we wrote them on a chart.